4th session from “City and Urban Man” Series, in harmony with the end of the Iranian year & change of the season focuses on the cinema in Iran in the light of modernisation process. 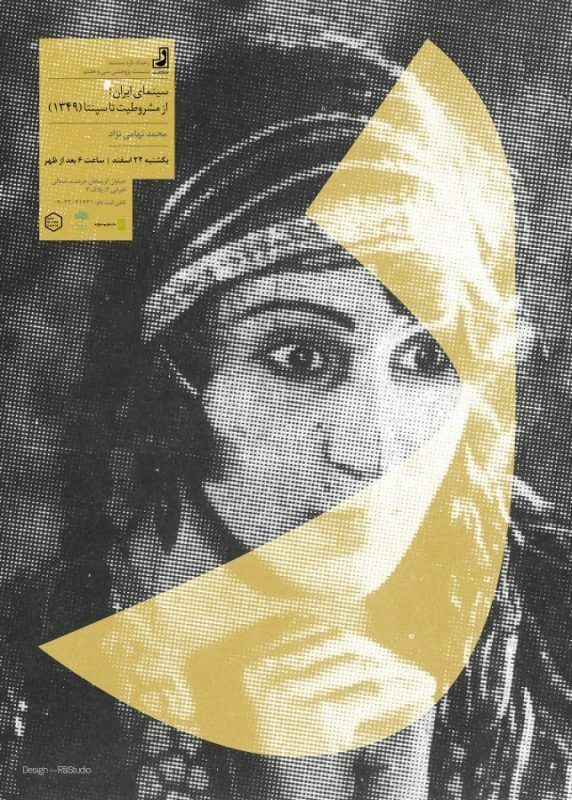 For this special occasion we gather to watch a crucial & less seen documentary on early Iranian cinema and its history. We gather at New Media Projects to watch, Iranian cinema from the constitutional Revolution to Sepanta (1970) by Mohammad Tahaminejad on Sunday, March 12, 2017 – 6 pm. Mohammad Tahaminejad was born in1942 in Tehran and studied journalism and cinema and have lectured in film and cinematic research at several universities. The central tendencies in his career had been as follows: 1-Documentary film making on social and cultural topics .His first film Iranian cinema from the constitutional Revolution to Sepanta (1970) was a portrait of Iranian cinema pioneers and the context they challenged with .There he tried to find and assemble some of the Iranian first forgotten lost films in a narrative compilation (hybrid) film together with re-enactment and interviews with silent film personalities . like: Mr. Habibollah Moraad the hero of Haji Agha Actor e cinema ( Ohanian -1933)and director Ebrahim Moradi ( of Bolhavas -1934) and with our first talkie film Dokhtar -e Lor (1933) actress Roohanghiz Saminej ad and others. The filmâ€™s perspective supported by a sociologic historical theme as he called searching for disappointment roots (Risheh-yaabiye ya’s). His other films are : Return of the prisoners of war (1991) water distributor’s night (1981) in a desert village and housing crisis in a modern city (1972) 2- He has achieved some qualitative studies since the end of 1960’s. In 1994 he rewrote the script of his first documentary film , and published it. A book which selected as the best book of the year -1995. Two other books are: the cinema of dreams and phantasm (cinemaye ro ya pardaze iran 1986) and Iranian documentary cinema, the field of differentials (arse ye tafavotha-2001) a book about history and ideas. 3-Searching and introducing Iranian fiction and nonfiction (and footage) films had been also his engagement. 4- Documentary cinema from visual anthropological viewpoint and keep in order to (arranging) the visual memories of our contemporary history (nazm bakhshi be khaatere ye basary az tarikh moaser e Iran) are his two other engagements here today 5- Alongside others he has tried also to translate and introduce the new academic and theoretical achievements of the world directly or through comparative and critical works for those who interested. He was one of the three members of board of founders of Iranian Documentary Film Makers association and once its director .